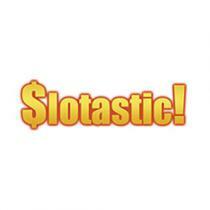 At Slotastic casino, every week is going to bring amazing bonuses for all the Slots lovers. Get a chance to win an enormous 100% match on your deposit. Along with 33 Free Spins to give a boost to your bankroll every week. Redeem the promo code SLOTASTIC while making a minimum deposit of $25 to claim this bonus once in every week. Make a qualifying deposit and redeem the promo code SLOTASTIC. A minimum qualifying deposit of $25 must be able to be eligible for this promotional offer. Your will receive a 100% match on your deposit. 33 Free Spins will also be credited to your account. The Free Spins will be valid on the Slot Enchanted Garden. Promo code can be redeemed only once in every week. The offer is valid only for the existing players at Slotastic Casino. The bonus code can be redeemed only once in a week. The players who have not made any deposit in their account in the last three months can not avail this bonus. Bonus is valid only for one player per household per device per email. The players from restricted countries are not eligible for this promotional offer. A minimum wagering requirement of 30 times must be competed before any withdrawal can be made. A wagering requirement of 60 times is applicable on all the winnings of Free Spins. All the wagering will be applicable on deposit + bonus. Apart from Slotastic Casino bonuses & promotions, find other latest casino promotions ranging between No Deposit & Deposit Bonuses along with their bonus/promo codes here!